First, Daydream will soon support standard Android applications. These apps will appear as a window in 3D space, and you can click your controller pointer to simulate taps. From the blog post, it sounds like app developers will still have to mark their apps as Daydream-ready for users to install them. 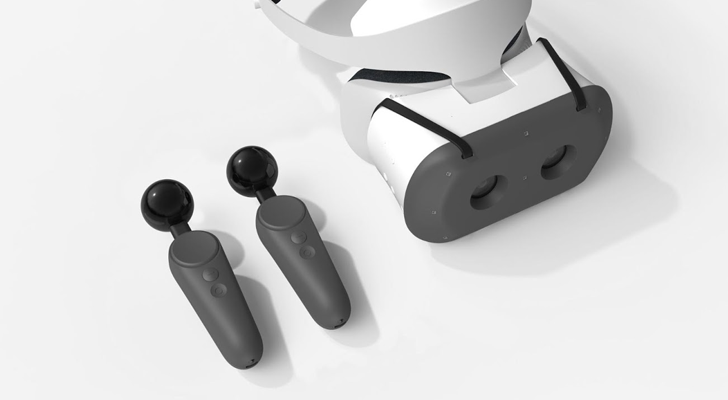 Google is working on updated Daydream controllers with six degrees of freedom - similar to controllers designed for PC VR gaming. The new controllers use "machine learning and off-the-shelf parts" to track positioning in 3D space, as opposed to setting up external cameras and sensors. There is no ETA for when the improved remotes will be available, but developers can apply for early models. Google is also developing a see-through mode, allowing the person wearing the VR headset to see what's in front of them. This supposedly works well enough to play ping pong, since the two cameras on the Mirage Solo headset are approximately eye-distance apart and the video latency is very low. Using a combination of ARCore and see-through mode, it will also be possible to create HoloLens-like experiences on Daydream. The below demo shows someone placing 3D models of furniture in a real room, while using the improved motion controllers. It's definitely exciting to see Daydream continue to improve. Hopefully, we'll see more (and less expensive) standalone headsets in the coming months.